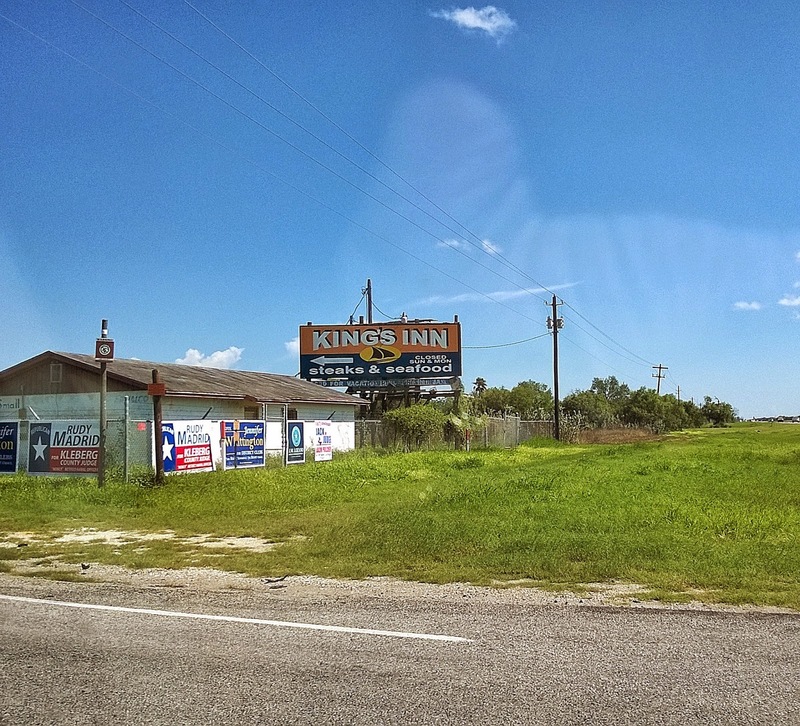 On our way to the southern tip of Texas last weekend we passed through the section of Texas Highway 77 that connect Kingsville to Raymondville. This area of the state is famous for cutting through the King Ranch which means you have signs stating "Next Service Station 60 Miles." There are no gas stations along that route so be sure to fill up beforehand! 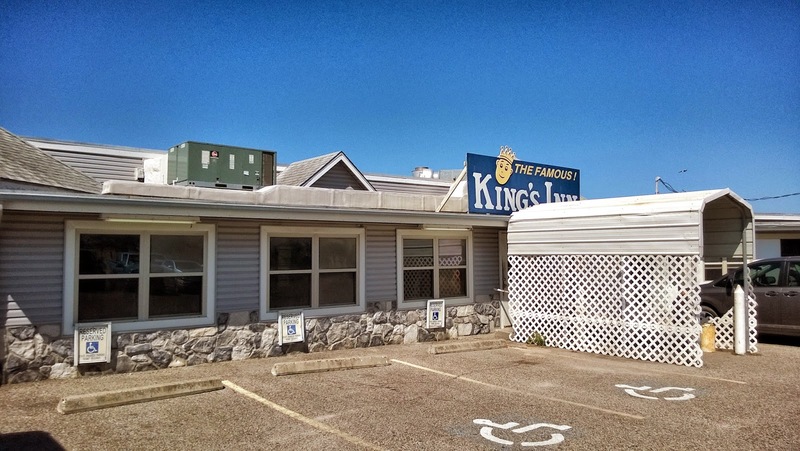 However, there is a road that leads to a restaurant along this path and it happens to be one of the most famous restaurants in Texas, The King's Inn. 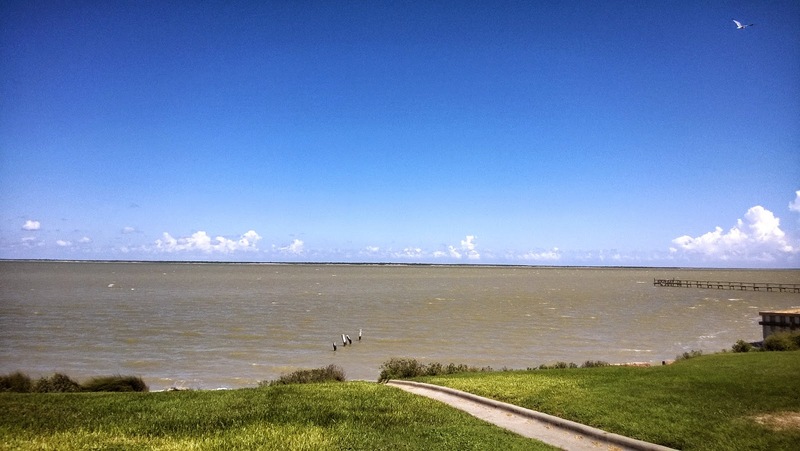 The restaurant is located on Baffin Bay of the Gulf of Mexico and in the distance there you can see Padre Island, the more northern of its famous sister island South Padre Island. We stopped by based on the recommendations of my friend Craig P. If Craig P. says it's good, it's good. Being on the ocean you can rightfully assume that seafood is their main focus. The King's Inn doesn't have a menu, I imagine because their stock of fish changes daily as well as the prices. While this is handy for them it puts the customer at a disadvantage of having to ask the price of things before ordering. We decided on shrimp and scallops. 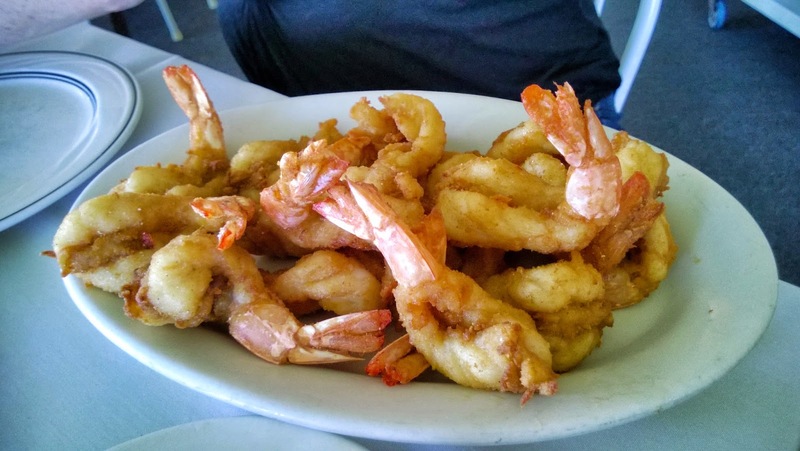 I can without a doubt say they were the most delicious fried shrimp I've ever had. 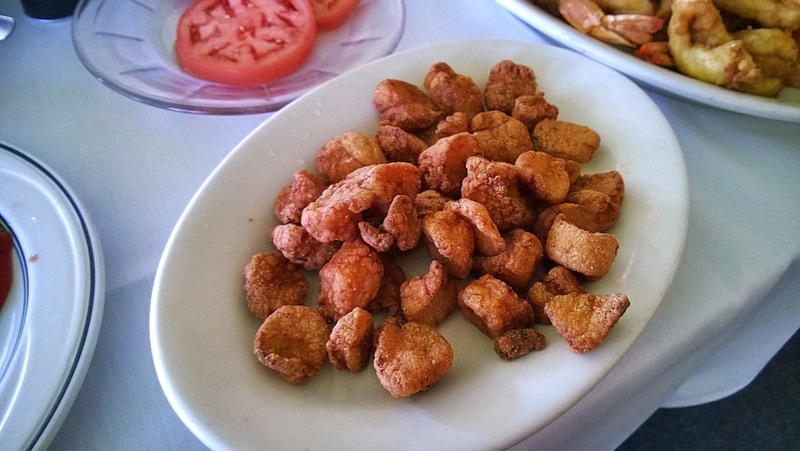 They were fried perfectly and just look at their size. The scallops were also huge and tasty...but what could compare to the fried shrimp? 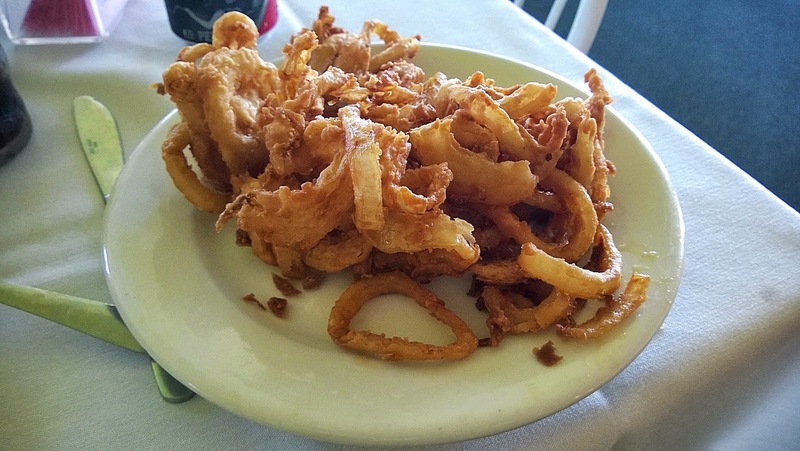 We also go some onion rings which were actually a pile of fried cut onion strands that had a distinct state fair feel. Also excellent. The visit to the King's Inn gave us a nice break from the road and if you ever have to make the same drive in South Texas I would recommend you stop by...just don't be afraid to ask the waiter how much things cost before ordering.